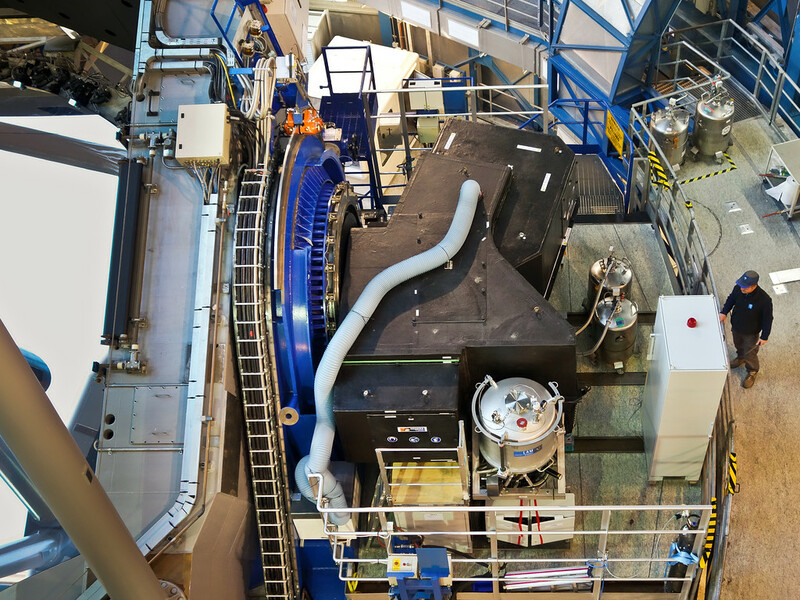 SPHERE, the extreme adaptive optics facility, high contrast imager spectrograph and polarimeter of the Very Large Telescope, is now offered to the community for P95 (April-Sept 2015, please look at the Call for Proposals). It has unique capabilities that make it a fantastic high-resolution, high-contrast disk imager with a field of view up to 11″ (much bigger than most of its main competitors). Material is available online to help you write your proposals. 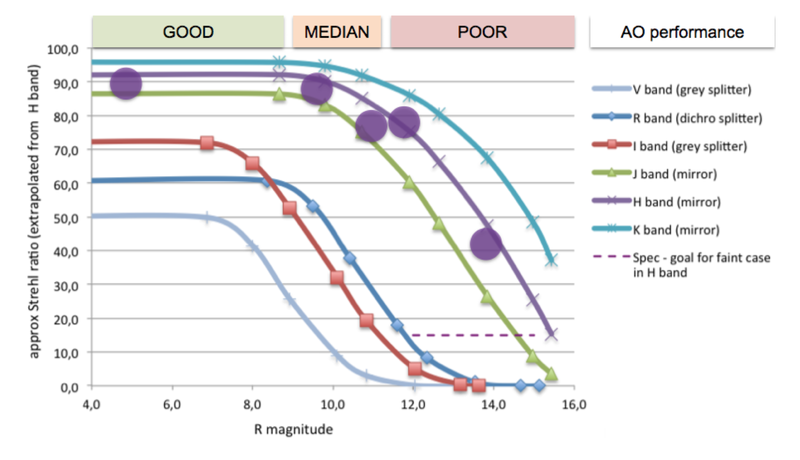 SPHERE can lock its AO on fainter stars than GPI, up to R=11 for service mode and up to R~15 in visitor mode (with degraded AO performances of course). This is interesting for low-mass stars! Nevertheless, and unlike for NACO or SINFONI, the AO star must always be on-axis. SPHERE IRDIS J-band saturated, coronagraphic and processed images with a companion, iota Sgr b, a very low-mass star 4,000 times fainter at 0.24″ from its parent star. Simulated and measured (H-band, circles, by T. Fusco) SPHERE-SAXO Strehl ratio as a function of R magnitude. This is preliminary, result of 3 commissioning runs only! Check updates of the User Manual in the future months (just click on the image to get to the ESO SPHERE public pages). SPHERE can also observe in visible light thanks to its imager/polarimeter ZIMPOL and access resolution of the order of 20 milliarcseconds thanks to its high order (over 1300 actuators deformable mirror) adaptive optics system SAXO. Left: binary star observed in I’-band centered at 790 nm (red light), the separation is 0.15″. Right: companion detected ~150,000 times (12 magnitudes) fainter than its parent star at only 0.2″. It’s a bit like distinguishing a candle right next to a light house from 500 miles! Let’s congratulate the whole SPHERE consortium and ESO staff involved since many years with such a novel, complex but working instrument!